British Columbia is a leader in creating product stewardship programs, which means that many items once considered garbage can now be recycled, reused or disposed of properly at a designated drop-off depot. Put waste in its place. Please note: Not all depots, accept all items. Check before you go. 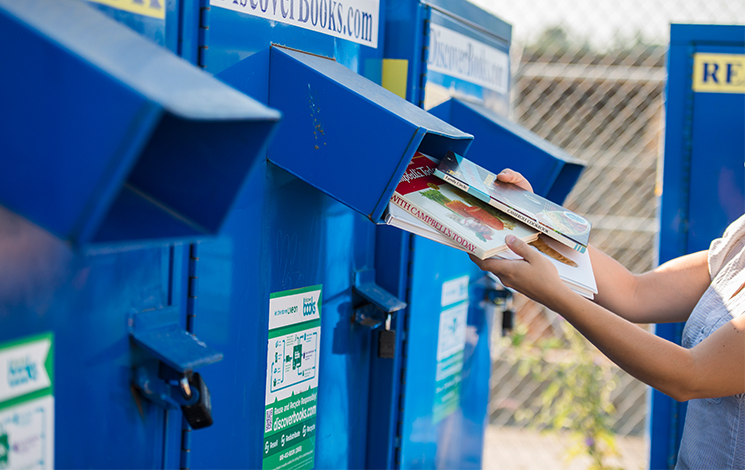 Need help finding the correct drop-off location for your materials? The North Shore Recycling Drop-off Depot has moved across the street. Starting January 2017 you can drop off your recyclables at the new recycling drop-off area at the North Shore Transfer Station. Look for the “recycling dropoff area” beside the main transfer station entrance. The new North Shore Transfer Station provides one-stop service for recycling, yard trimmings and waste disposal. Mon–Sat (Apr 1–Sept 30): 8 a.m.–6 p.m.
Mon–Sat (Oct 1–Mar 31): 8 a.m.–5 p.m.
Sun & Stat Holidays: 9 a.m.–5 p.m. The North Shore Transfer Station accepts loads of garbage and yard trimmings, as well as some recyclable items. Applicable disposal fees may apply.